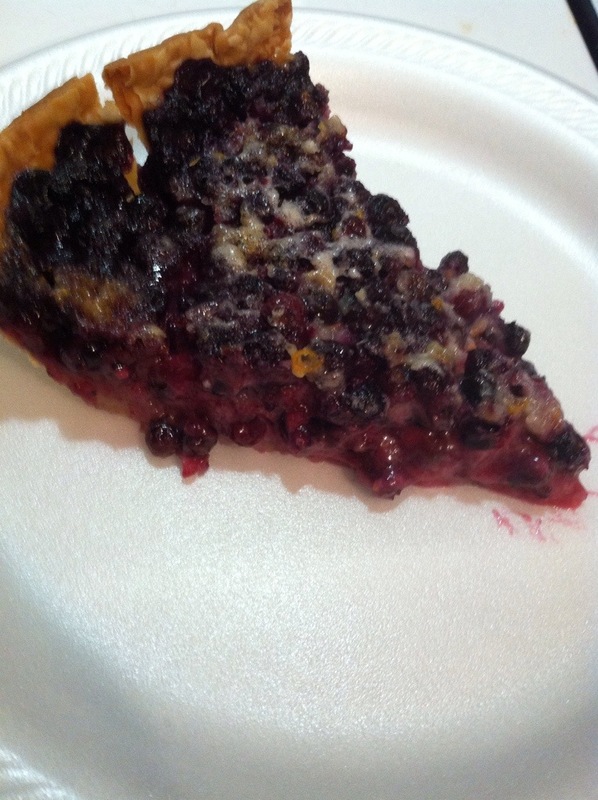 Last week I was given a bunch of blueberries from my in-laws and of course Daniella’s request was pie. I finally got around to making it this past Sunday. I decided to try a Blueberry Cream Pie for a change. I found this recipe over at Little Indiana . My only issue with it, was the orange zest, it was far too much, next time I think I will use lemon and half the amount, so it doesn’t take away from the blueberries. Pour Blueberries into unbaked Pie Crust. Whisk together Heavy Cream, Sugar, Flour, Salt, and Orange Zest. Bake 35-42 minutes or until a light golden brown on the top. Store in refrigerator. Best when eaten chilled.